Hai was speaking at a recent meeting with petrol wholesalers on the implementation of the bio-fuel, E5 RON 92, and solutions to ensure the fulfilment of the roadmap and target set by the Prime Minister. 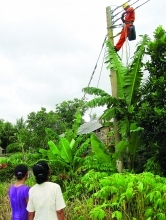 He said although the output of bio-fuel E5 had grown remarkably in recent times, it was not up to expectations. E5 RON 92 consists of five percent ethanol and 95 percent petrol. The fuel is used in many countries as it helps protect the environment and can ensure energy security and sustainable development. In Vietnam, two kinds of gasoline are sold: E5 bio-fuel and mineral oil RON 95. In the first two months of this year, domestic petrol consumption reached some 1.43 million cu.m, of which E5 RON 92 was 593,609 cu.m, accounting for some 42 percent, and RON 95 was 836,296 cu.m, accounting for some 52 percent. The volume of bio-fuel consumption in January-February increased by 8 to 9 percent compared to the same period last year. 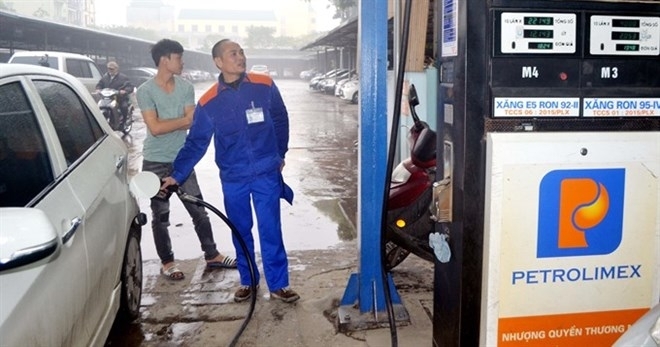 Some of the key players with high bio-fuel consumption of total sales include Thien Minh Duc JSC (70.93 percent), Military Petroleum Corporation (62.37 percent), PetroVietnam Oil Corporation (PVOil) (51.37 percent), Vietnam National Petroleum Group, or Petrolimex (47.06 percent) and Hai Linh Company Ltd (46.24 percent). Deputy General Director of Petrolimex Tran Ngoc Nam said with the responsibility of being a key player in the market, Petrolimex had strongly directed the deployment of E5 trading throughout its system. Eighty-two percent of Petrolimex stations sell E5. “The group has developed a policy to encourage the retail sale of E5 in petrol stations, aiming to make the consumption of E5 higher than that of RON 95,” said Nam. The Petrolimex leader said the proportion of bio-fuel had not reached the expected volume as consumers did not completely trust E5 and the price difference between bio-ethanol E5 and mineral oil RON 95 was not huge enough to attract consumers. Nam also said the price of cassava, needed to produce E100 for blending E5 gasoline, was rising, which increased the production price, creating difficulties for businesses. In the domestic market, Tung Lam Co., Ltd is the only E100 ethanol supplier. Due to the high price of cassava, the company has had to raise the price of E100 too. This is a major concern for gasoline dealers, which they mentioned at the meeting. Vu Kien Chinh, General Director of Tung Lam Company, said in 10 months (from June 2017 to April 15, 2018), cassava price increased by 2,000 VND per kilo (from 3,600 VND to 5,600 VND). Chinh confirmed that the E100 price increase was not due to monopoly and that in increasing the price of cassava, the largest beneficiaries were the growers. “We would like to be supported by State management agencies to facilitate the production of E100 in the country instead of importing it from abroad,” said Chinh. General Director of PVOIL Cao Hoai Duong said to rightly understand E5, there was a need for public orientation and knowledge dissemination in the right way. “The difference in price between E5 and RON 95 should be 1,800-2,000 VND, which will make E5 more attractive,” said Duong. Concluding the meeting, Hai affirmed MoIT’s support to legitimate business enterprises that always cooperated with others to develop together. He requested enterprises to seriously and persistently implement and continue to take more aggressive measures to increase the market share of E5 petrol business. As for the supply of E100 for blending E5 gasoline, Hai asked the Tung Lam Company, as well as some other ethanol factories that will be launched in the near future, to minimise production costs in order to create the product E100, which will be able to compete with imported products and raise domestic consumption. Hai also requested petrol stations to install E5 gasoline pumps in convenient locations and said there was a need to have more pump piers. “Each staff member at petrol stations must be an active consultant and facilitator, helping consumers have the right understanding of E5 bio-fuel and make the right choice,” Hai said.